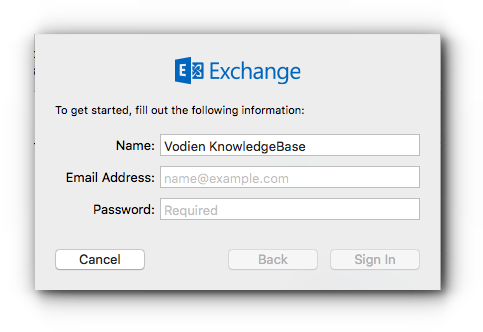 Home/Knowledge Base/Email/How to set up Microsoft Exchange in Mac Mail? 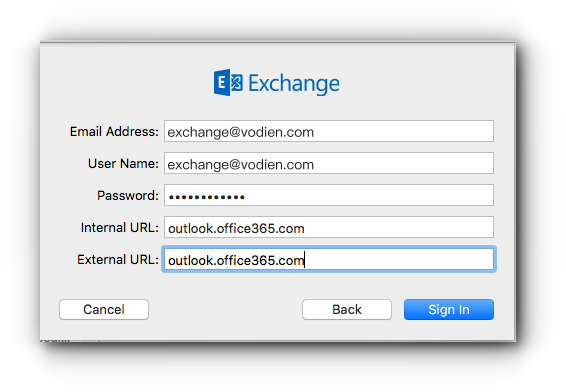 This article is intended for email accounts that are using Microsoft Exchange. 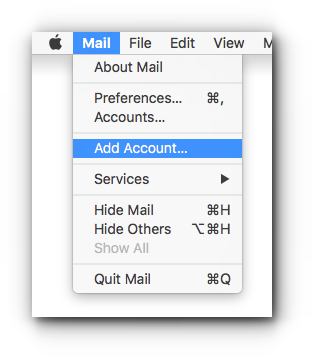 However if you want to use IMAP or POP3, you may do so. Please take note that you will not be able to enjoy the Office 365 features with IMAP and POP3 setup. 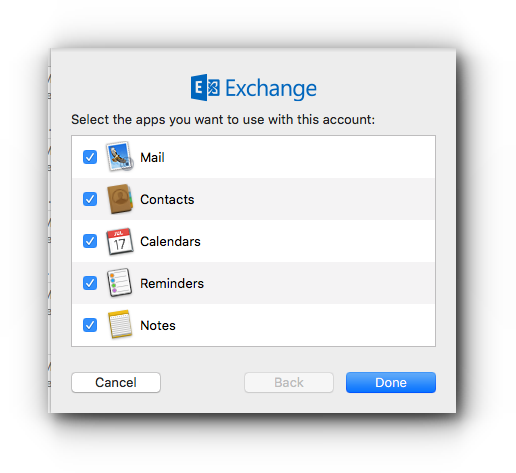 Learn how to set up Microsoft Exchange in Mac Mail by following the instructions below. Step 2. Select Exchange and click Continue. Step 4. 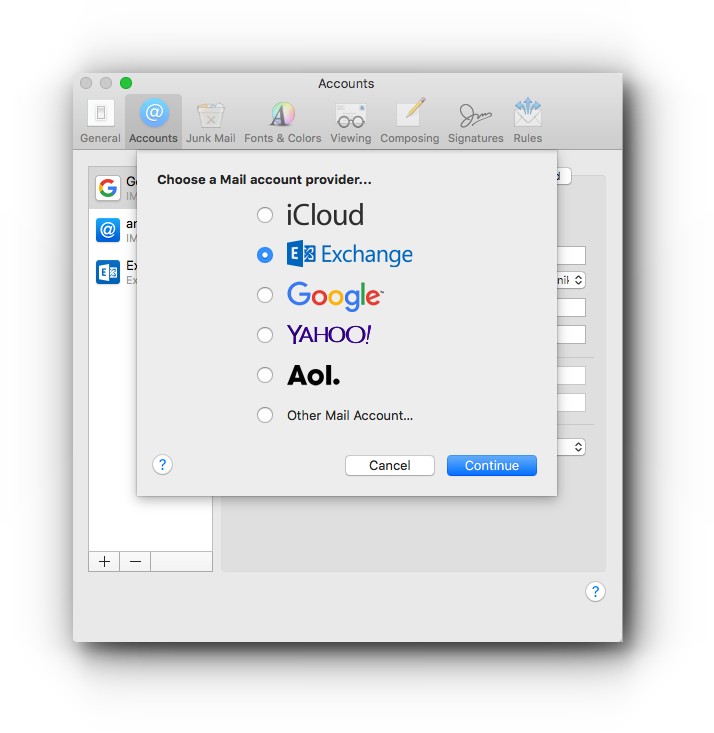 You have successfully added your Microsoft Exchange account with Mac Mail. To start using Office 365 select the features you want to use and click Done.